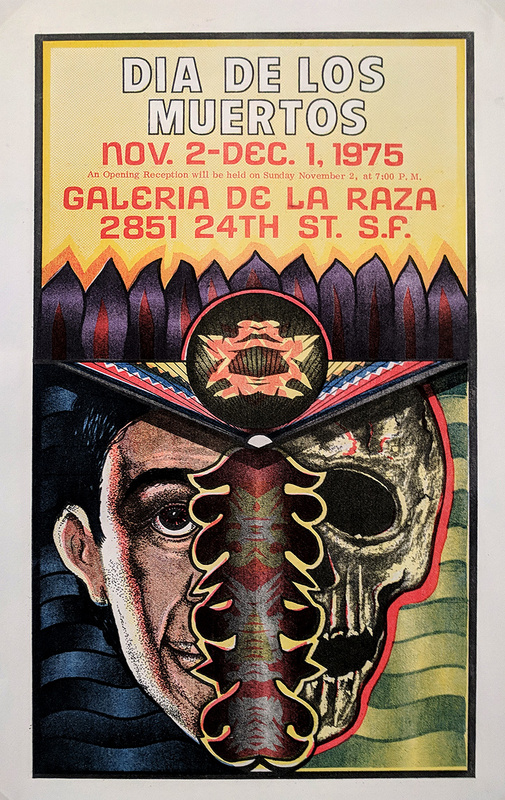 Longtime artist and curator Rene Yañez describes how in 1972 he and his colleague Ralph Maradiaga helped launch the San Francisco version of Day of the Dead (Dia de los Muertos) by putting an altar in front of the Galeria de la Raza at the time. Since then, the event has expanded and in some ways has changed its character. 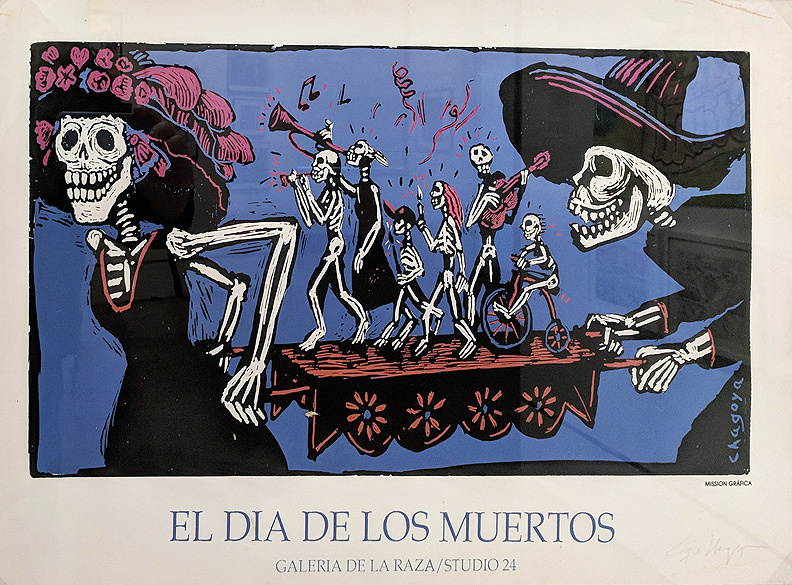 Rene has moved on to curating for many years an annual show of Day of the Dead altars at SOMARTS, while the procession he helped initiate in the late 1980s has become an annual street event. 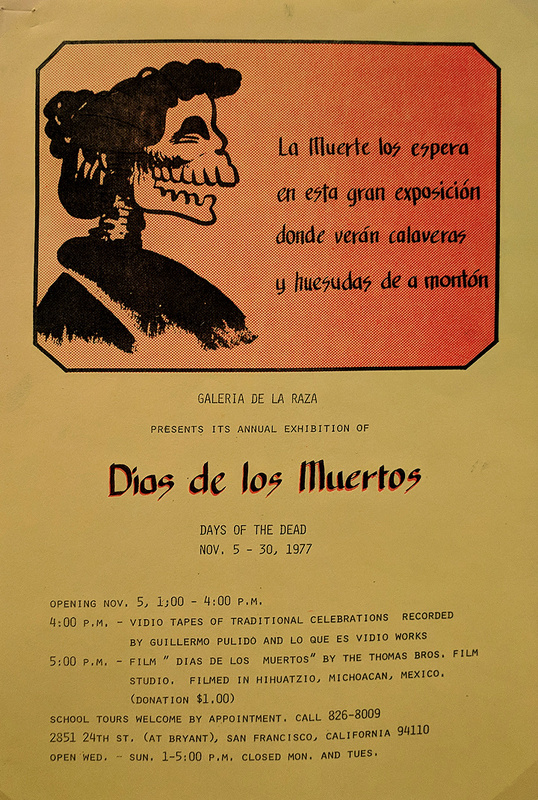 The procession, which has increasingly been embraced by young white hipsters in addition to its longer roots in the Chicano and Latinx communities, has provoked controversy on many occasions, especially when young drunken yahoos have shown up in white face paint assuming the procession to honor the dead is actually an extension of Halloween or Mardi Gras.